When I read that my favorite fantasy author, Ilona Andrews, planned to self-publish a novella in time for Christmas, I did the happy dance. 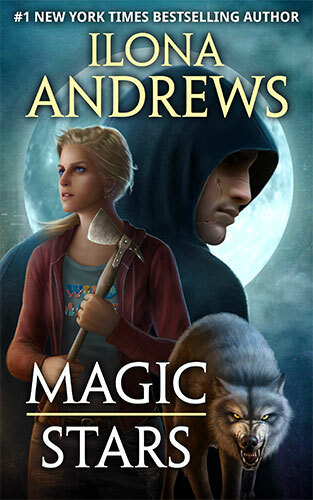 Then I learned that the protagonist of Magic Stars was Derek, an important and much-loved secondary character from the bestselling Kate Daniels series, and I started counting the days. There was no chance of me saving this book for a holiday treat. I applied for and was lucky enough to receive an ARC, which arrived in my in-box just before 11pm one night. Suffice it to say I didn’t go early to bed 😉 . It’s no criticism to say this book is not what I was expecting. It was much, much more.